Welcome to the inaugural 2014 edition of a weekly feature here at Movies With Abe. I'm going to be providing a handy guide to a few choice movies currently playing in theatres as well as several films newly released on DVD. I’ll also aim to comment on those films I have not yet had the chance to see, and I invite you to add in your thoughts on any films I haven’t seen in the comments below. Understandably, some weeks will have considerably fewer releases to address than others. The Face of Love (mixed bag): This love story casts Ed Harris as a dead ringer for Annette Bening’s late husband who becomes a romantic interest for the grieving widow. It’s a perfectly average romance that unfortunately isn’t enhanced by its usually great actors. Now playing at IFC Center and Lincoln Plaza. Read my review from yesterday. 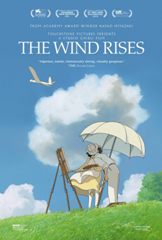 The Wind Rises (highly recommended): In all the hubbub of Oscar season, I never got around to actually reviewing this nominee for Best Animated Feature. The latest and possibly last film from Hayao Miyazaki is a gorgeous, immensely involving epic about a creative young man with big dreams. Well worth it on many levels. The Counselor (anti-recommended): This awful film looked so promising from its trailer, and turned out to be an enormous off-putting mess that is profoundly disturbing. Penelope Cruz is the lone cast member who is actually decent, and the film is far too unpleasant to be worthwhile. Dallas Buyers Club (recommended): I found this Best Picture nominee to be highly overrated, but overall it’s still a good movie if not a great one. Matthew McConaughey and Jared Leto deliver transformative performances that are often stronger than its well-intentioned film. Diana (mixed bag): This unfortunate effort starring the usually great Naomi Watts and Naveen Andrews tries and fails to capture the gravitas of Princess Diana and the way in which she seduced the world. Highlighting her personal life proves to be much less interesting and dynamic than it should be. Gravity (highly recommended): This action blockbuster took home seven Oscars, most of which were in the technical categories. Director Alfonso Cuaron earned his Best Director trophy for creating a massively compelling visceral experience that, like its main characters are told, never lets go. It’s mesmerizing and agonizing at the same time, and a must-see. Nebraska (recommended): This quiet black-and-white Best Picture nominee tells an endearing, surprisingly funny tale of an older man with a fading memory who embarks to reclaim the prize money he believes he has won and experiences a true life journey on the way to find it. 12 Years a Slave (highly recommended): I said back in October that this future Best Picture winner was sure to be an Oscar movie. Director Steve McQueen’s follow-up to “Shame” is another marvelous collaboration with actor Michael Fassbender, who is excellent in a chilling role as a cruel slavemaster. Chiwetel Ejiofor and Oscar winner Lupita Nyongo are just two of many great performers in a superb ensemble, and the film becomes increasingly powerful as it goes on, telling an emotional and extremely involving story. 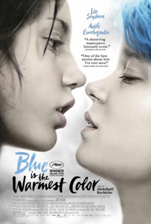 Blue is the Warmest Color (highly recommended): I’ve written a great deal about my number one film from 2013. Adèle Exarchupoulos and Léa Seydoux give incredible performances as the two main characters in this controversial but highly worthwhile film that feels real and emotional. See it for yourself! Capote (recommended): This 2005 Best Picture nominee is a great showcase of probably the best performance ever delivered by the late Philip Seymour Hoffman, who deservedly took home an Oscar for his lived-in portrayal of the famous writer. The film isn’t quite as strong, but it’s still a solid drama based on true events. Midnight Express (recommended): This 1978 Best Picture nominee is a frightening look at the true-life consequences of one young American’s attempt to smuggle drugs out of Turkey. It may be hard to watch, but it’s a vastly compelling prison film with strong performances from its cast. Night of the Living Dead (highly recommended): Along with “The Walking Dead,” this is pretty much the only zombie fare I can stand. 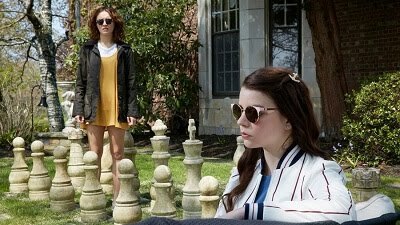 This is, however, the original zombie movie, the one that did it well and ended on such an impactful and memorable note that its campiness should be forgiven for its classic nature. Rachel Getting Married (highly recommended): This is the movie that made me think that Anne Hathaway could actually act (and earned her her first Oscar nomination). It’s a heart-wrenching and powerful look at one family in turmoil with excellent supporting turns by Rosemarie DeWitt and Bill Irwin. The Silence of the Lambs (highly recommended): This 1991 Best Picture winner is one of the greatest films ever made, a magnificent thriller where the cannibal isn’t even the bad guy. Anthony Hopkins and Jodie Foster have never been better, and this is where any new project about serial killers should look for inspiration. The Station Agent (highly recommended): This quirky independent film from director Tom McCarthy – who later made “The Visitor” and “Win Win” – features a trio of wonderful performances from the likes of Peter Dinklage, Patricia Clarkson, and Bobby Cannavale in a heartfelt and energizing story.